Nineteen. That's the number of burgers featured on Waddell's menu, which surely must be some sort of record. Nineteen. Seriously. Mind you, many of them are somewhat questionable. If the menu description reads «Demolished! by Guy Fierie», I'm fairly sure it's safe to give it a miss. The Cougar Gold, however, is not shabby at all. 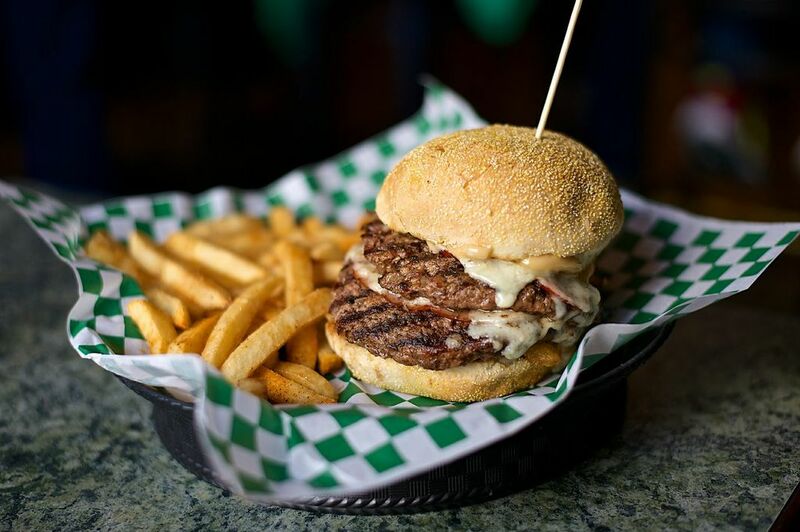 It ranks somewhere below the current favorites, Manito and Wisconsinburger, on the list. In that sense, it actually trumps some local mainstays, like Churchill's. While some -- many, really -- burgers rely on the stash to do most of the talking, Waddell's has sensibly made sure the patties hold their own. You are served two of them (or one if you go with the «Meow Meow» option), nicely seasoned, though not entirely to order. Our medium-rares were somewhere on the north side of medium. Still, the flavors made up for it, so whatever. A nice touch is the slice of ham shelved between the patties. This makes for something a little bit different than the standard bacon-burger, particularly texture wise. It does, of course, add to the flavor, too. But, really, in the end it's all about the actual cheese. Well, maybe not all, but Cougar Gold ranks high up on our chart of favorite cheddars. (Yes, we have one.) It's a perfect burger cheese: sharp, but not overpowering. It plays very well with the seasoning in the patties, and the mayo just kind of binds it all together. A good potpourri of flavors, in other words. The buns might not set the world on fire, but at least they hold the whole thing together, without adding much to the palette. Vote for Waddell's: It’s your civic duty!